The water may be wild elsewhere, but at Medano Beach - or Playa el Medano - there’s miles of safe, calm swimming and beach fun for all the family. 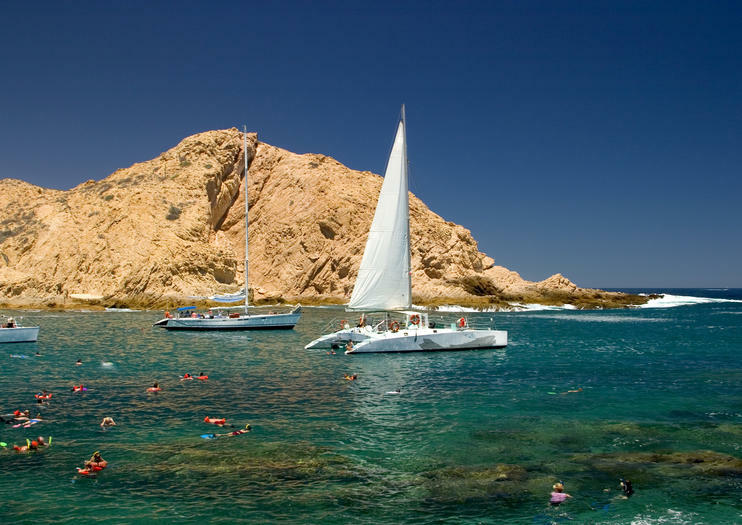 Los Cabo’s most popular beach is a long, long stretch of beach towels, sun umbrellas, beach volleyball, pleasure boats and beach bars. Resorts and high-rise apartment buildings line the sands, offering beachfront restaurants and bars. Beach vendors stroll the sands selling everything from sombreros to jewelry, and when the sun goes down the beach turns into Los Cabo’s nightlife hub.